Applications for 2019 funding are now being accepted. Applications must be submitted by November 2, 2018, 11PM EST. Applicants may apply for one of two available grants: the FITCH Mid-Career Fellowship and the Samuel H. KRESS Fellowship (scroll for award descriptions). Since 1989, the James Marston Fitch Charitable Foundation has been in the vanguard of historic preservation practice and theory. 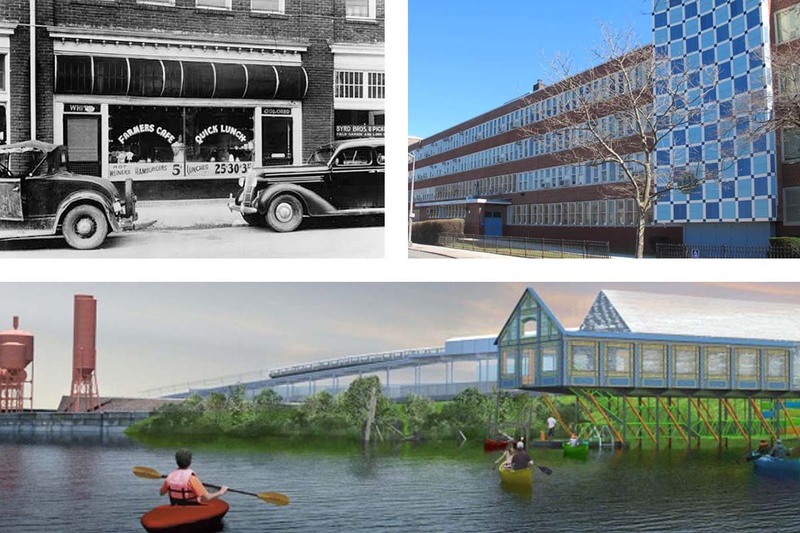 The mission of the Fitch Foundation is to support professionals in the field of historic preservation, and to achieve this we provide mid-career grants to those working in preservation, landscape architecture, urban design, environmental planning, materials conservation, decorative arts, architectural design and history, and allied fields. and Blinder Fellows SLO Architecture (2014). FITCH MID-CAREER FELLOWSHIP: Research grants of up to $15,000 will be awarded to one ore more mid-career professionals who have an academic background, professional experience and an established identity in one or more of the following fields: historic preservation, architecture, landscape architecture, urban design, environmental planning, architectural history and the decorative arts. The James Marston Fitch Charitable Foundation will consider proposals for the research and/or the execution of the preservation-related projects in any of these fields. View eligibility details and more. SAMUEL H. KRESS MID-CAREER FELLOWSHIP: Research grants of up to $15,000 will be awarded to one mid-career professional whose research project relates to the appreciation, interpretation, preservation, study and teaching of European art, architecture and related disciplines from antiquity to the early 19th century, in the context of historic preservation in the United States. Potential Kress Fellow projects could include the exploration of shared European and American influences in style, design, materials, construction techniques, building types, conservation and interpretation methodologies, philosophical and theoretical attitudes, and other factors applicable to preservation in both Europe and America. Funding for the Kress Fellowship is made possible through the generous support of the Samuel H. Kress Foundation. View eligibility details and more. Applications must be submitted by November 2, 2018, 11PM EST. With questions, please contact Cristiana Peña at cpena@fitchfoundation.org.